316 pages | 25 B/W Illus. Studies of intercultural communication in applied linguistics initially focused on miscommunication, mainly between native and non-native speakers of English. 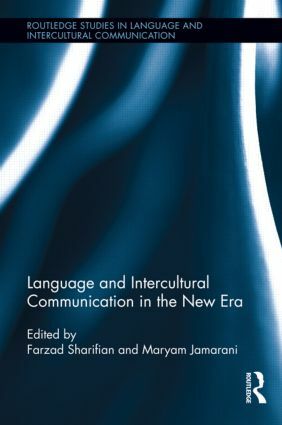 The advent of the twenty-first century has witnessed, however, a revolution in the contexts and contents of intercultural communication; technological advances such as chat rooms, emails, personal weblogs, Facebook, Twitter, mobile text messaging on the one hand, and the accelerated pace of people’s international mobility on the other have given a new meaning to the term 'intercultural communication'. Farzad Sharifian is Professor and Director of the Language and Society Centre at Monash University, Australia. Maryam Jamarani is Associate Lecturer at University of Queensland, Australia, and a research fellow at Monash University, Australia.